HomeAmazon DealsPlanters Nutrition Heart Healthy Mix Only $6.48 SHIPPED! 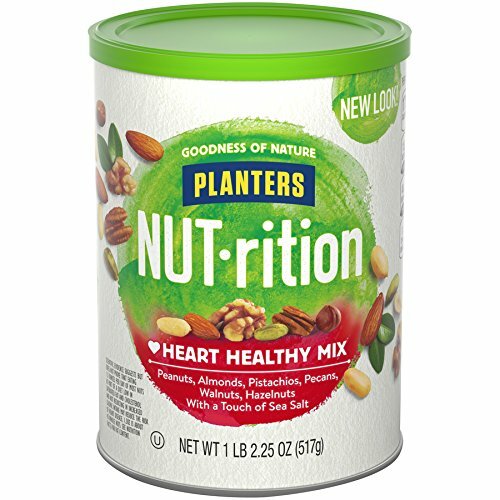 Planters Nutrition Heart Healthy Mix Only $6.48 SHIPPED! Awesome deal to grab! Score Planters Nutrition Heart Healthy Mix Only $6.48 SHIPPED! Choose subscribe and save and clip the coupon to score this deal. And remember, you can cancel at ANYTIME after your first shipment. PLUS, score an extra 15% off your Subscribe & Save orders instead of the regular 5% when you have 5 or more items shipping in the same month! Ship[ping is always free with Subscribe and Save. Mirror’s Edge Catalyst – Xbox One Only $5.49m Down From $19.99! Planters Lightly Salted Mixed Nuts, 15 oz Can (Pack of 3) Only $12.69 SHIPPED!